Are you looking for a new way to promote your business? Tired of feeling confined to your office or home to do all of your business work? How would you like to take your advertising on the go? SpeedPro Imaging Harrisburg is ready to welcome you and your business to the wonderful world of vehicle advertising. Our custom vehicle wraps give you the control in how much you’d like to promote yourself and where. The best thing about these wraps is that even when you’re just running errands and not working, you’re still gaining attention and helping your business. If you find yourself constantly running up and down I-83 and I-81 in the south-central portion of Pennsylvania, stop by our studio! We’ll meet with you to discuss what options work best for your advertising needs. A full vehicle wrap will give you and your business the most coverage and visibility. Think about how many times you’ve driven and gotten distracted by a car that passed covered in graphics. It’s amazing how much information you were able to receive in that short amount of time. That’s why full wraps can be beneficial for your business. Full vehicle wraps will cover almost all areas of your car, such as the roof, hood, side panels, windows and back bumper. 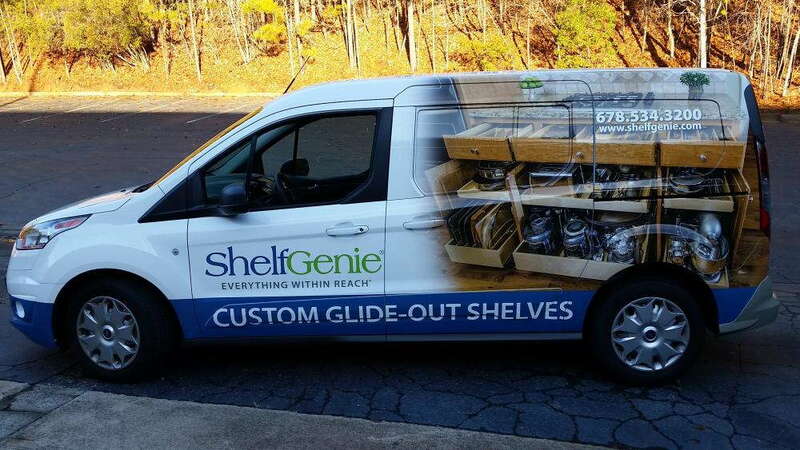 A perfectly branded vehicle wrap will not feature colors and text all over the place but rather expert placement. You may choose a full wrap if you’re a self-starter and need to build customers fast or if you’re an established company and want to make a statement with your new rebranding. These wraps will capture attention and effectively display information. 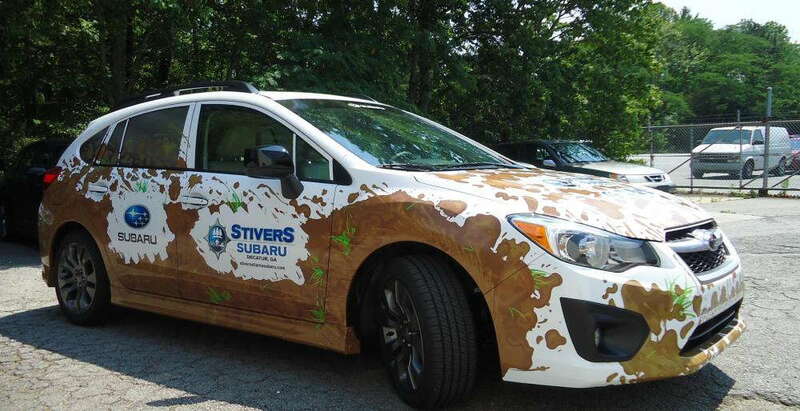 Partial vehicle wraps are the same thing but reduced to offer less coverage. Maybe you want just the windows wrapped or only the side doors of your car. This strategy is still a great option for making a statement because the cohesive look of the wrap is present — the only thing missing is the massive amount of coverage. 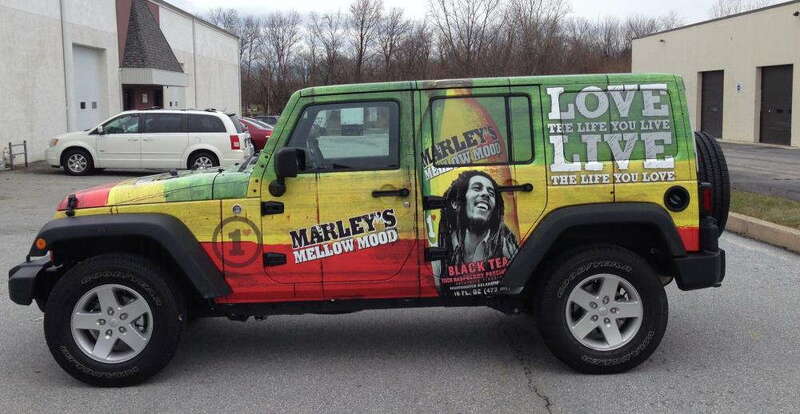 Spot graphics are another option for customizing your vehicle to brand your business. These graphics can be permanent with vinyl material or temporary with less adhesive cling material. The aim of these spot graphics is to make a statement on your vehicle by drawing attention to one particular image. Maybe you’re looking to get your business’s name out, or you want to associate a new logo with your company. Spot graphics are a great choice for businesses that don’t need to attract new customers but just want to continue promoting outside the office. If you find yourself on the road a lot and are interested in bringing new customers to your business, try out custom vehicle wraps! Our studio is ready to give your car or minivan a new, branded look. Let our team know when you’d like to set up a consultation, and we’ll create the look for you!